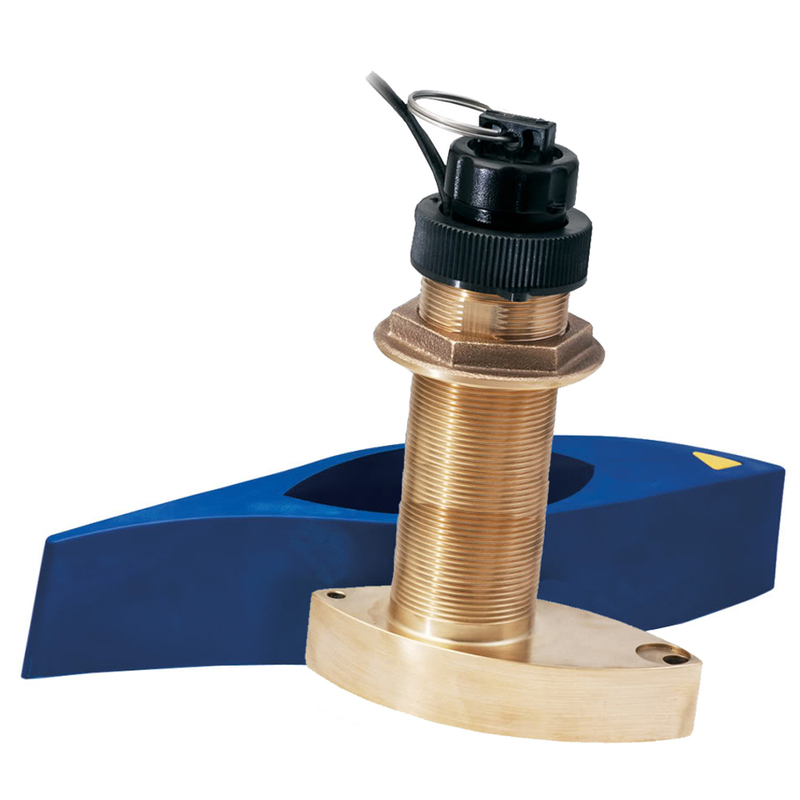 Bronze Thru-hull mount, long stem transducer with fairing block. Provides depth, temperature, and speed data. Operating frequency of 200 and 50 kHz. Beamwidth of 12 degrees at 200 kHz, 45 degrees at 50 kHz. Transducer kit comes with installation instructions - follow them carefully to ensure proper operation.